In an atmosphere of licensing delays and concerns over government corruption, Ohio medical marijuana patients likely won’t be able to access medical cannabis until 2019. Sometimes the only thing more difficult than getting a marijuana bill passed through the labyrinth of the legislature and signed into law is implementing the bill itself. Ohio has become the poster child for falling on this stumbling block. The state was supposed to launch its medical marijuana program later this week, but problems with regulators — as well as the local cannabis industry itself — will inevitably prevent the system from servicing patients in the time permitted under law. But no one in Ohio wants to take the blame. Some say this missed deadline is the fault of the state’s regulatory officials, while the state argues the delays were brought on by the temper tantrums of the cannabis entrepreneurs. What is certain, however, is one or more parties linked to the program have officially messed up, and now it’s going to be several months before patients have access to medicinal cannabis. It is important to remember that the Ohio legislature was so afraid of a legal cannabis system beyond their control that they passed a limited medical marijuana measure back in 2016 before the issue could go to the voters. If legal weed was going to happen, the government wanted control. The bill, which was signed by Governor John Kasich, was designed to give patients with a variety of health conditions permission to use medicinal cannabis. The law provided regulators with a two-year deadline to make it happen, which should have been enough time considering there was nothing too out of the ordinary about the program. The basics of Ohio’s medical marijuana law were similar to other laws passed in over half the nation. In fact, enough pot-related regulations have been written at this juncture that the state could have saved itself some time by using some type of template. But they decided instead to do it from the ground up. This may have been its first mistake. “Setting up a medical cannabis industry from scratch in the state of Ohio should not have been rocket science,” Bob Bridges, part of Ohio’s Medical Marijuana Advisory Committee, told Cincinnati.com. Other folks close to the implementation process, like Marcie Seidel, another member of Ohio’s Medical Marijuana Advisory Committee, said two years was simply not enough time to get the solid program off the ground. “I thought it was really very aggressive and thought that it probably couldn’t happen,” she told the news source. Meanwhile, cannabis advocates and patients alike have argued that if neighboring Pennsylvania was able to roll out a functional program in a timely manner and states like Maine managed to get theirs going within a year, then Ohio should have no excuse for dropping the ball. But it has not been that cut and dry in Ohio. 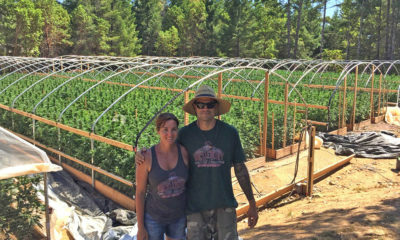 Once the state finished scoring the 185 applications in search of only 26 licensed cannabis growers, a process that took five months to complete, an all-out brawl erupted, complete with lawsuits and scandals. The major gripe was over how the applicants were scored and who ultimately decided which firms should be given a license. It was later determined that one of the officials responsible for grading the applicants was a felon and another had a close affiliation with one of the applicants. Cannabis companies continued raising the alarm about corruption and about why the state had limited the cultivation licenses to 26. Soon the courts were bogged down with cases. Although some of the lawsuits have been dismissed, others linger on, and still, implementation problems have persisted. In order to get a medical marijuana program up and running, it is first necessary to put a cannabis crop in the ground. The state has approved 26 cannabis cultivators, giving them a provisional license to start breaking ground, building their facilities and establishing agricultural logistics. Yet, as it stands, only four of these operations have been cleared to grow weed, according to local NBC news affiliate WKYC. Some companies are simply not ready for inspections. They say inclement weather has prevented construction schedules from staying on track. And the state, well, it isn’t exactly in a hurry to conduct the necessary inspections for those businesses prepared to go operational. The state encountered additional problems when it came to approving processors to develop edibles, topicals and oils for distribution. Out of the 104 applicants going after this sector, only seven initially made the cut. The state said most of the cannabis companies failed to pass the required background and tax checks. But the state estimates it needs to dole out 40 processor licenses to keep up with demand. As of now, only 10 are locked in to go to work, according to WKYC. Of course, these companies must first build their facilities and pass the state’s health and safety regulations before they can produce a single product. There were also dispensary delays. So far, 56 retail outlets have been approved to sell medical marijuana. But these companies were not made aware of this development until just a couple of months ago. But that’s okay, there aren’t any patients registered to buy medical marijuana anyway. The state still hasn’t made good on its promise to post its medical marijuana registry — an essential tool to get patients with a recommendation from a doctor officially enrolled in the program. This delay is due to a legal barrier that is supposed to prevent patients from getting prosecuted for marijuana possession. Right now, patients with a certification to participate in the state’s medicinal cannabis program can bring weed in from another legal state without the risk of legal woes — at least at the state level. It’s called an “affirmative defense.” And while it does not prevent someone who smuggles pot from Michigan into Ohio from getting arrested by police, it does provide them with a legal defense in a court of law. This part of the medical marijuana law comes to a screeching halt 60 days after the registry opens. Although no one is certain exactly when Ohio’s patients will start to benefit from the statewide cannabis circus, some reports estimate the new launch date could be anywhere between around the end of 2018 to early next year. But for now, the program is just a bunch of anxious companies, nervous investors and angry patients waiting for cannabis plants to grow. TELL US, do you live in a state with a legal marijuana program?